David Braid was born in Wrexham 1970 and grew up in Colwyn Bay on the North Wales coast. His earliest introduction to music was through piano lessons with his mother when he was around eight, later taking violin and guitar lessons. He was involved in various musical activities during his early teens ranging from playing in rock bands to fiddle playing in the school band for the Welsh folk dancers, before focusing primarily on classical guitar and starting to compose in his later teens. 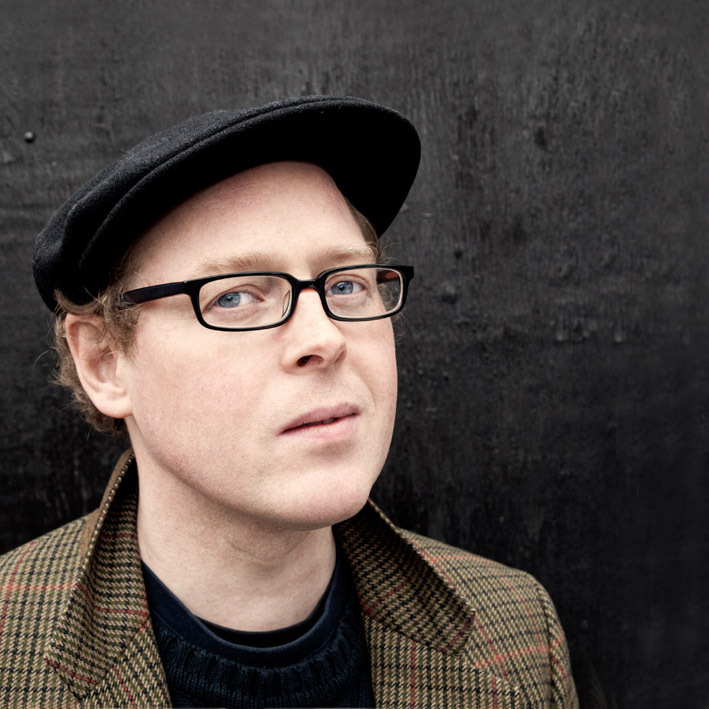 David studied at The Royal College of Music from 1990-94, taking joint-first study in Guitar with Charles Ramirez and Composition with Edwin Roxburgh. Also while at the RCM, he attended the composition classes of George Benjamin. On completion of his studies, David moved to Poland for two years, spending a year at the Cracow Academy of Music studying composition with the late Marek Stachowski and a second year of private study with Zbigneiw Bujarksi. During his two years in Cracow he wrote a Violin Concerto and a work for chamber orchestra, ‘Cause and Reaction’ (both since withdrawn for revision). David later undertook further composition study, with Robert Saxton at The University of Oxford. In addition to the UK David’s work has been performed in the USA, Germany, Poland, Russia, Denmark, Sweden, South America. Recently, the string orchestra version of his setting of Pablo Neruda’s poem Mañana, ‘Morning’ was premiered in Moscow. The original version, for soprano and string quartet received its UK premiere at the Wigmore Hall sung by Grace Davidson and features on his new CD with Toccata Classics. ‘Morning’ was also broadcast on Australian radio in summer 2011. Steve Reich said of this work: ” ‘Morning’. Integration of voice with string quartet beautifully done – particularly first entrance. Writing for instruments is solid and sounds very good to me. Very honest stuff”. David is the recipient of numerous awards and scholarships including: The John Longmire Prize for Composition, Royal College of Music; The Jack Morrison Prize for Guitar, RCM; The Composition Prize for Youth Orchestra, Murcia, Spain; The Fine Arts Sinfonia Composition Prize (London); The Waterson Scholarship, University of Oxford; the Oppenheim/Downes Memorial Scholarship; The University Graduate Scholarship, University of Oxford and SPNM Short-listed composer 2001, among others. 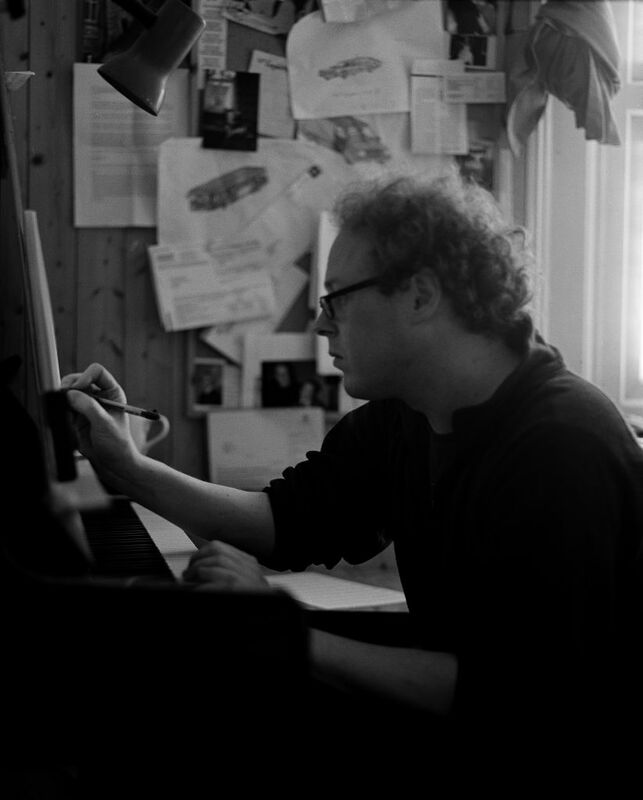 As well as concert music, David has written film scores, most recently for Polish animation: ‘Blask’ (Illumination) and the short film: ‘Compartment’. He also wrote the tutorial book/CD, ‘Play Classical Guitar’ that has entered three editions including a Spanish translation (Backbeat Books, 2000). Composers that David cites as having the most effect on his work are: “Sibelius – for his incredible formal logic and expansive use of time; Lutoslawski – for the multi-functionality of his musical material and near-perfect formal processes; Brian Ferneyhough – for taking us to the absolute limit of complexity while still strongly and clearly communicating and Per Norgard – for showing how complex processes (such as his infinity series) can be used to help create genuine beauty”. In addition to composition, David still finds time to practice the Renaissance lute: “Reading through Dowland, Denss or Campion on the lute is so much more than just the pleasure of playing top-drawer work on a wonderful instrument. The lute is a time machine that takes us to another musical culture, one somehow lost to us but still very much alive in our way of thinking, this raises many important questions about composition and our perception of music”. Other musical interests and influences of David’s include his love of vinyl recordings, especially older rarities, he says: “I learn so much from performers, Glenn Gould and Julian Bream for example, also earlier ones such as harpsichordist Wanda Landowska and the English pianist Solomon, who incidentally was good friends with my great uncle in the 1950s. Many of these players had such an intelligent and thought-through approach to phrasing and pacing. They perhaps have had as much influence on me as any composer. There are also a highly refreshing bunch of new players around who are able to bring a very focused and informed approach to the repertoire in a wholly new way – this is extremely encouraging”. M.Litt. (Composition), University of Oxford, St. Anne’s College. M.Mus. (Composition), Royal College of Music, London. Private study, Prof. Zbigniew Bujarski, Cracow, Poland (Fugue/Counterpoint). Diploma (Composition/Conducting), Cracow Academy of Music, Poland. Dip.RCM. (Composition/Guitar), Royal College of Music, London. Sir Arthur Bliss/PRS Foundation funding for production of CD, Morning, 2006. Fine Arts Sinfonia Composition Prize, London, 2005. Waterson Scholarship, University of Oxford, 2004. University Graduate Scholarship, University of Oxford, 2002. Chameleon Composers’ Group Prize, London, 1999. John Longmire Prize for Composition, Royal College of Music, London,1998. Composition Prize for Youth Orchestra, Murcia, Spain, 1994. Blask (lustre) – Polish animated film (2010) – Cracow Film Festival, October, 2010. Compartment – Anglo-Polish film (2006), Shorts performance, Curzon, Mayfair, 2006.